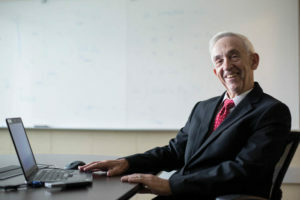 Richard Bausell, ChE’70, of Chesterfield, Mo., retired vice president of URS Corp.’s Pipeline and Power Business Line. Delores James Hinkle, PetE’75, of Houston, retired director of corporate reserves for Marathon Oil. Michael Bruening, associate professor of history and political science, edited A Reformation Sourcebook: Documents from an Age of Debate, published in April by the University of Toronto Press.